Enjoy the top 52 famous quotes, sayings and quotations by Allyson Felix. When I was younger, Jackie Joyner-Kersee was a mentor to me and gave me great advice. The best was to 'work 100 percent, but enjoy every moment along the way.' Sometimes you get so in the zone, you forget to enjoy your passions. I love running-but I also love the movies, relaxing on the beach, shopping and spending time with my friends. Enjoying my life helps me enjoy my running. I focused solely on the sprints, dedicated my time there, got in the weight room, just really did everything I could to make sure I would be in the best position to run for gold. Want to see more pictures of Allyson Felix quotes? 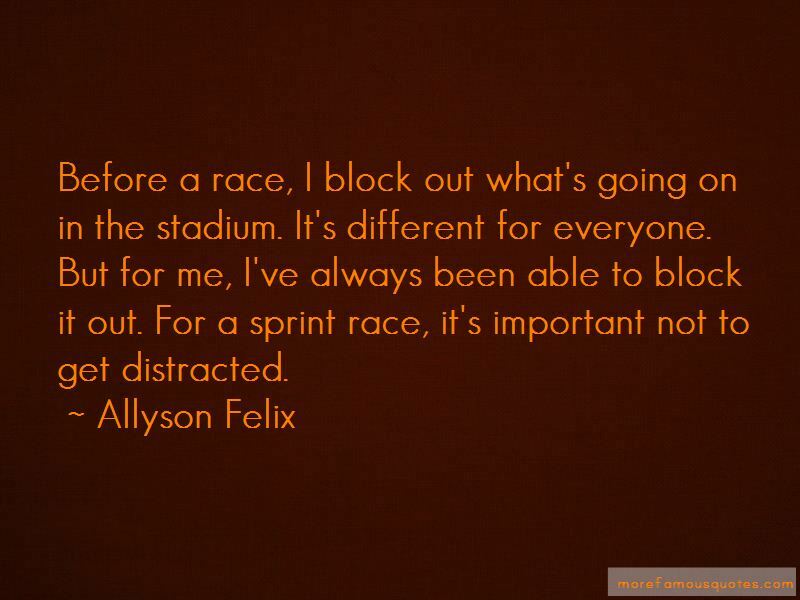 Click on image of Allyson Felix quotes to view full size.